Since launching the EHSQ Reporter for iPad and iPhone we have been astounded by the response. People around the world, from Norway to Australia, are writing in with praise, ideas and encouragement. We hope you will take a look at the EHSQ Reporter software and how it can help you perform verifications more efficiently. We’re constantly trying to make NimonkApp.ca faster and today we’re very happy to announce a major speed improvement for NimonikApp.ca. 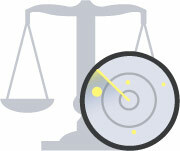 As our client base has grown, so to has our database of legislation and legal updates, which has made our site slower. No longer. We’ve made a number of improvements to significantly speed up load times!